A lot of times, our locks don’t actually need to be replaced. Instead, rekeying locks is the most proper way to be done to fit the new keys inside. This procedure is fairly less expensive than replacing the lock, and it can also take five minutes at most. East Cobb Locksmith can rekey locks and cylinders in Marietta GA without damaging your entire lock. We are licensed in this area and can guarantee you a cost-effective service. When Should You Rekey Your Locks and Cylinders? We can rekey locks and cylinders in Marietta GA at any time of the day. But how can you know that you only need to rekey your locks instead of replacing them? Sometimes, when you call us to replace your lock or cylinder, we might advise you to only rekey them especially when we inspected it to be fixable and there is no integral part of the lock that is damaged. If this is the case, rekeying is often the best choice for the customers because it is a lot cheaper and faster than replacing it with a whole set of lock. Rekeying means that the springs and pins inside the lock are removed and replaced with another springs and pins. If you are a new homeowner and there were previous people that used your house before, it is urgently needed that you rekey your lock for your security. There are houses that use master pins inside the lock, and several keys can open these locks without you knowing. Locksmiths can prevent this from happening by removing master pins inside any hard-wearing locks. Roller door locks, and many more! A break-in is not the only reason why you need to rekey your home and commercial building. they may still have spare and can get in your house at any time. also allows a locksmith to clean and lubricate the locks for a smooth operation. 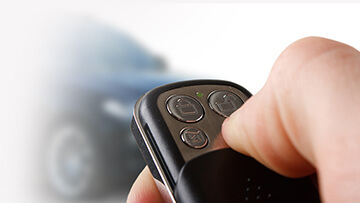 Rekeying locks and cylinders Marietta GA has never been faster with East Cobb Locksmiths. Call us today at 770-651-0366 for a free quote over the phone.